11488 W Bayshore Drive, Crystal River, FL 34429 (MLS #770236) :: Plantation Realty Inc.
FABULOUS OPEN WATERFRONT! Completely Remodeled 2 Bedroom 2 Bath Condo at "The Islands". Large Open Living To Expansive Florida Room Overlooks Water & Nature Preserve, Ceramic Tile Thru, Deluxe Kitchen Features Wood Cabinets,Granite Counters, Stainless Appliances, Breakfast Bar w/Lower Cabinets, New Lighting, Kitchen & Bath Fixtures, New Window Treatments, Large Master Bedroom With Steps To Open Water, Upgraded EnSuite Bath Has Tiled Walk-In Shower, Inside Laundry/Utility. Boat Dock & Lift. Lots Of Storage! 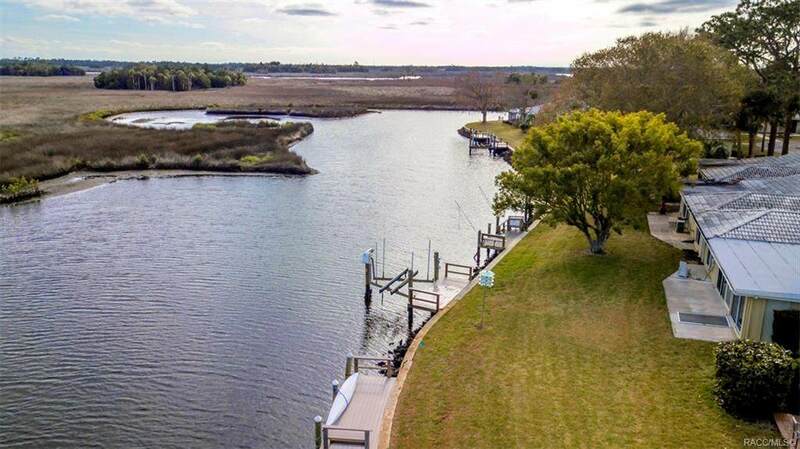 Gorgeous Water Views & Sunsets! A Nature Lovers Paradise! Enjoy TheMaintenance Free Lifestyle Today! Community Heated Pool, Clubhouse, & Tennis Courts.